Our friends at HTC let us know that the HTC One S is now available from Bell, TELUS, Fido, Virgin Mobile and will soon be available from Sasktel. With a svelte 7.8mm thin, with a unibody aluminum build and equipped with a Dual Core Snapdragon S4, 1GB, 4.3 inch qHD AMOLED screen and 8MP camera. Software includes Android 4.0 with Sense 4.0. Keep your eyes locked on Android Bugle for our in depth review. Check out the Press release after the break. Toronto, ON – May 17, 2012 – HTC Corporation, a global designer of smartphones, today announced the highly anticipated HTC One™ S smartphone is now available on Bell, TELUS, Fido, Virgin Mobile nationwide, and is coming soon to SaskTel. The HTC One S debuts in Canada as HTC’s thinnest smartphone featuring the amazing camera, authentic sound and iconic design experience of the new HTC One series of smartphones. The HTC One S integrates Android™ 4.0 (ICS) with HTC Sense™ 4, the new version of HTC’s branded user experience with HTC ImageSense™, with improvements to every part of the camera, including the lens, the sensor, the software, and even integrating a new custom HTC ImageChip. These enhancements combine to deliver HTC’s fastest image capture, best image quality under adverse conditions and easiest interface that enables quick access to capturing stills and videos with side-by-side photo and video capture buttons. Consumers have quick access to their cameras from their home screens and a super-fast auto focus with continuous shooting to take nearly unlimited continuous photos simply by holding the shutter button. 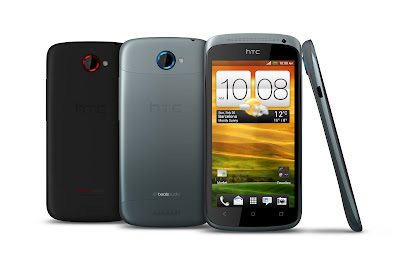 The HTC One S also includes HTC Video Pic™ to shoot HD video and still photos at the same time, and can even capture a photo from a previously recorded video. The audio experience is richer on HTC One S with Beats Audio™ integration enabled across the entire device for richer, more authentic sound whether you’re listening to your favorite music, watching a YouTube™ video or playing a game. People today no longer just listen to the songs stored on their phones. They use streaming services and tune into Internet radio, so HTC One S provides a customizable Music application to house their favorite services and music applications, giving one place to go for all their music. The HTC Car Stereo Clip* also provides an easy way to bring mobile music to your car’s sound system. Consumers can connect to their music through thousands of online radio stations worldwide or play music from any service or app on their phone through their car speakers. The convenientMedia Link HD* accessory offers easy sharing of content stored on the HTC One S to any TV with an HDMI connection. Powered by a 1.5GHz dual-core Qualcomm® Snapdragon™ S4 processor, the smartphone features a 4.3-inch qHD screen and brings HTC’s innovative metal unibody styling to a new thin 7.9-mm design. The HTC One S sports a finish that breaks new ground in mobile phone innovation, taking anodizing to a new level with a patented process that creates a light-to-dark gradient fade that looks gorgeous and sophisticated. The HTC One S is now available in Canada from Bell, Fido, TELUS and Virgin Mobile. For additional information, please visit htc.com. * HTC Car Stereo Clip and the Media Link HD are sold separately.